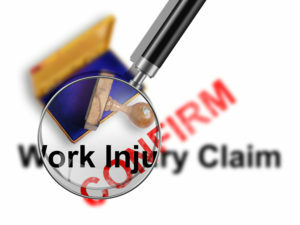 AB 2883 was designed to target situations where some businesses have been claiming excessive number of employees as officers in order to get around insuring them for workers’ compensation. The biggest challenge regarding AB 2883 is that it applies to all workers’ comp insurance policies that will be in effect on or after January 1, 2017, including all policies in force that expire after January 1, 2017. Owns at least 15% of the issued and outstanding stock of the corporation. Or an individual who is a general partner of a partnership or a managing member of a limited liability company, and that person elects to be excluded by executing a written waiver of his or her rights under the laws governing workers’ compensation, stating under penalty of perjury that he or she is a qualifying officer or director, or a qualifying general partner or managing member, as applicable. How does this affect our shared policyholders? AB 2883 permits only officers and directors that own at least 15% of stock of the corporation, or an individual who is a general partner of a partnership or managing member of a liability company to be excluded from the workers’ compensation policy if they execute a waiver under penalty of perjury that they meet these qualifications. How will the affected policyholders be notified? It is our responsibility to identify and provide notice to any policyholders who are affected by the new law. If you have yet to receive any notice of this, please contact us @ (818) 465-7860. What can you expect from Brookurst? Brookhurst will acknowledge receipt and acceptance of the waiver, which must be completed by January 1, 2017. We will determine and report, consistent with existing practices, the premium and loss experience associated with officers who have not executed a waiver as covered employees. Current policies will be endorsed based on waiver information, premiums will reflect changes and be invoiced accordingly. Please discuss AB 2883 with your affected clientele and assist with the timely return of all inquiries that meet the requirements of the new law. Policyholders are required to execute a waiver for officers and directors to be exempt based on the new ownership rules. The waiver form(s) are to be signed, completed and returned by January 1, 2017. A separate completed waiver form is required for each individual requesting exclusion. Please note: waiver forms are specific to each carrier and cannot be interchanged. Identify the carrier on the policy and use the corresponding waiver form. If you need any assistance interpreting, implementing, or executing any of the policies outlined in this new bill, simply give our office a call @ (818) 465-7860 & we’ll help you out. This entry was posted in Worker's Compensation Insurance and tagged ab 2883 california, assembly bill 2883, worker's compensation news. Bookmark the permalink.